I don't get this reasoning man, how does it make the player feel more unique as John when all we have is Arthur's hairstyles and the actual unique clothing he wears is inaccessible. I really hope this isn't the reason behind it because it's such a dumb reason for cutting an otherwise perfectly working hairstyle. If it just didn't work with the player model for some reason and they cut it late in development then I could understand that at least. Honestly, unless someone can get in touch with a developer and talk to them, I don't see what else we can do. The petition surpassed 1000, people have filled out numerous requests and emails. Rockstar clearly knows about it and we've heard nothing other than some vague answers that tell us to 'wait for the next patch'. I don't get this reasoning man, how does it make the player feel more unique as John when all we have is Arthur's hairstyles and the actual unique clothing he wears is inaccessible. I really hope this isn't the reason behind it because it's such a dumb reason for cutting an otherwise perfectly working hairstyle. If it just didn't work with the player model for some﻿﻿﻿ reason and they cut it late in development then I could understand that at least. ﻿ Honestly, unless someone can get in touch with a developer and talk to them, I don't see what else we can do. The petition surpassed 1000, people have filled out numerous requests and emails. Rockstar clearly knows about it and we've heard nothing other than some vague answers that tell us to 'wait for the next patch'. Yeah it's stupid. The player model and ped model for John is the exact same, confirmed in the save files. That means the original hair and all outfits are compatible. Another reason is probably also the age progression in John, his tastes in hairstyles and outfits changed. I'm sure it will be possible via save editing as well, but only once the PC version is released because we don't know the hair model name/hash. For example I could change John's hair to original in the PC version via modding then save the game, get the model/hashes for the original hair then use it on another save game on your console. It's so dumb. 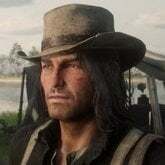 His hair in RDR1 is just a shorter version of his RDR2 hair. Really, I'd have been fine if they forced us to use his RDR2 hair/length variations in the epilogue instead of giving us full customization like with Arthur, just to preserve canon. I couldn't care less if John can't use any of the other options, I just want him to look like John. They really dropped the ball. 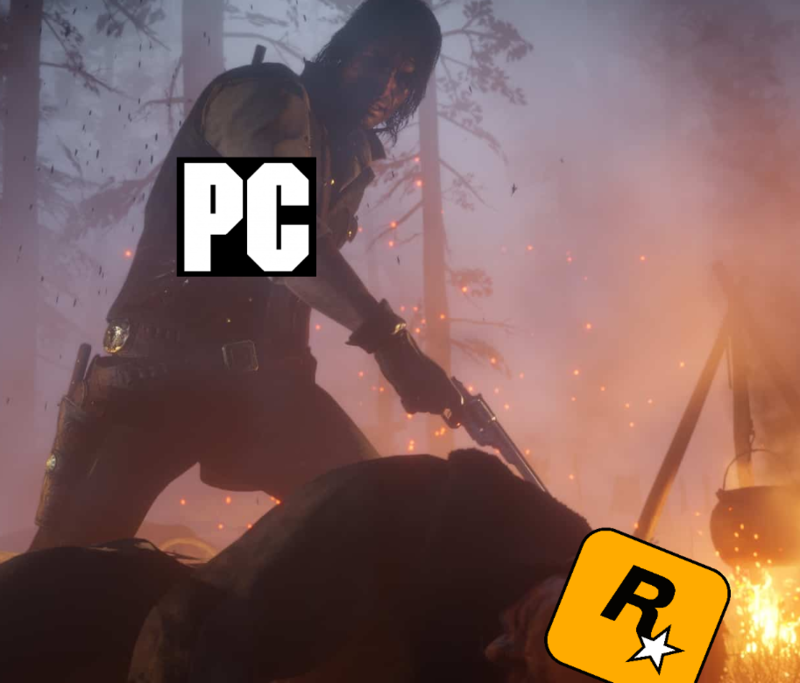 Take Two's recent earnings call said they expect Red Dead Online microtransactions to blow up in the summer..... I have a bad feeling about this. Not touched the online portion of the game in weeks now, the PC version is all i need! Honestly the only reason i’m playing RDO at all is so I can play with my native american. If I was able to do that in SP I would totally abandon Online. As it stands RDO is just a stripped back version of Singleplayer with barely any of the immersion that makes RDR2 so great. 'm sure it will be possible via save editing as well, but only once the PC version is released because we don't know the hair model name/hash. For example I could change John's hair to original in the PC version via modding then save the game, get the model/hashes for the original hair then use it on another save game on your console. Yeah because John's original hair is another player hairstyle that's just unused. It's seen in old screenshots and mission previews. All it takes is just finding out the name of that model/hash, then you can swap to it by editing your save game. It's waiting to be used, it's fully functional and literally just one or two slots away from the current hairstyles, it may even be just hidden in the barbershop. That costume seemed amazing to me since I saw it, it would be great to be able to use it in the epilogue. They imagine that R * add the Rockstar Editor/Cinematic, just like GTA V, play with the characters of the band and with NPC John. I despise Take Two so much. I haven't touched Online and never will. Choke on it you scummy f*cks. Ok no that's too far, some dude shouldn't kill himself because he runs a business, scummy as he may be, suicide shouldn't be joked about. Also this is a thread for John's hairstyle not a dunking on Take-Two megathread. a few days ago i think i saw someone say u can wear masks with a hat via glitch? anyone know how to, and how to remove second holster? I made a YouTube video about our petition (haven't uploaded it yet) but it uses some of you guys screenshots from the forums. Do you mind if I upload it? The model used for John in all the screenshots were made by devs using the non-player version of John. 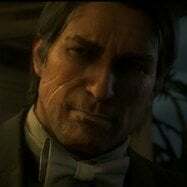 The playable John is based off a complex Arthur character system. So you won't be able to "turn on" non-player John hair. You might be able to find a universal attachment node in the head, make playable John bald, and find the non-player John hair to force attach to bald John. That's probably the only way you'll get that. This also means any costumes you like on non-player John will only work as a complete override to playable John with all his layered clothing options. This might not work though since non-player John is a different body shape than playable John which is of course based off of Arthur who has a bigger barrel chest than John. You might find non-player John shirt clipping into player John's chest for example. This also means there's no clothing layering system for non-player John outfits. You get all or nothing. There is a variety of outfits though! 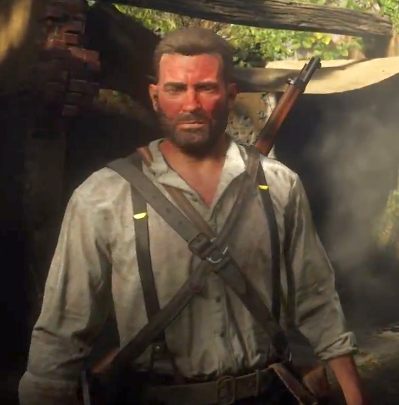 I tried to get the shirt and straps Arthur has in Guarma as a shirt option in the rest of the game. It appears to be a complete costume override and not part of the layers outfits. 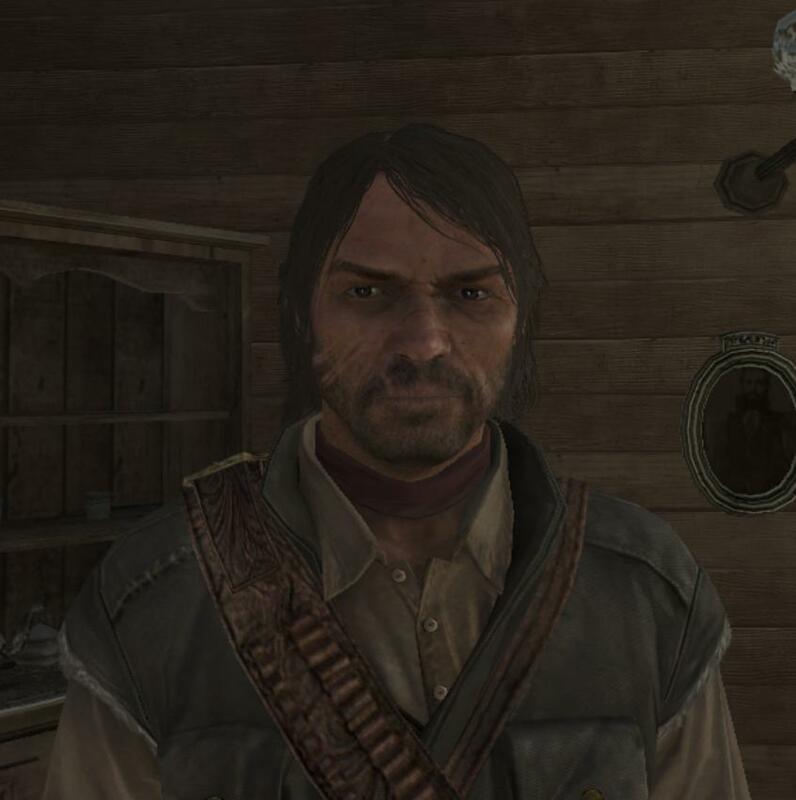 Same situation as non-player John outfits ... it's one whole "skin"
To get John's hair on the playable character, Rockstar would have to reshape all the dynamic hair growth systems, which I don't see them doing unless they schedule it into a remastered version of Red Dead Redemption. You could still try the above it though... sticking a John hair piece on top of a bald John. I wonder what would happen if you let his dynamic hair grow out! I don't have time to read sometimes but its good ! Hey Jedi, when the pc version releases, i’m wondering if you’ll add this hairstyle to the already existing barber menu in game as another hair option if possible so we can still use other haircuts. I’m all about immersion, and R* really dropped the ball in the epilogue hair dept. Sorry if i’m asking a question you can’t yet answer, I’m not entirely familiar with how modding this would work. Also this speaks waves for R* customer support. I have to ask talented modders like jedijosh920 my support questions and QOL suggestions. It shows who really cares about the average player. But, when the PC version comes out, I'll be making a mod, solely for the purpose of fixing John's appearance. I'm sure when the PC version get's a release there will be a trainer out with different variants of John and clothing...this is why i can't wait! OpenIV here we come! (last time i used openiv for installing mods was for GTA V) But yeah if it's the same structure as V then i'm excited to see the mods people will make! @jedijosh920 I'm all for immersion mods and sh*t, you & Zippo have some of the dopest mods going for V! Take Two aren't all to blame. Dan and Sam Houser, Zelnick, and the higher ups in their respective companies are EQUAL PARTNERS unlike the other T2 subsidiaries. Take Two and Rockstar BOTH have to decide on what kind of microtransactions they want to put in the game. As a matter of fact, Take Two going after modders wouldn't happen unless Rockstar were 100% A- OK with it. Rockstar are the ones using Take Two's hired goons to confiscate beta builds and silence the community like Yan. Hell, Dan Houser was jumping for joy in a Red Dead Online interview. I wish I had a pc just for this.